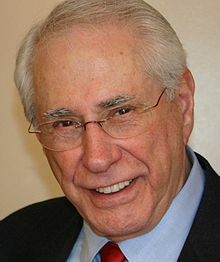 Guest: Former US Senator Mike Gravel (D-AL), who made history by reading the then-classified Pentagon Papers into the Congressional Record, and has since become a leading voice of 9/11 truth and direct democracy. “Two days ago, June 13, 2016, H.RES. 779 was submitted by Walter Jones, Steven Lynch, and Thomas Massie which cites the intention to use the Speech and Debate Clause to reveal the 28 pages. In this interview Sen. Gravel discusses the 28 pages and other 9/11 issues, opining forthrightly that “9/11 was an inside job.” Sen. Gravel also discusses the anthrax component of the 9/11-anthrax false flag event; voices his suspicions about possible post-9/11 false flag terror events; explains that the US is not a democracy; mentions Obama’s fears of going the way of JFK if he took on the military-industrial complex; and even touches on the UFO issue. Bottom line: According to Sen. Gravel, the Bernie Sanders “revolution” will accomplish nothing unless it becomes a real revolution i.e. a popular uprising demanding direct democracy: The right of citizens to enact laws, not just elect (inevitably corrupt) representatives. For details, check out the National Initiative for Democracy. This show was broadcast on June 22, 2016. This entry was posted on Tuesday, June 21st, 2016 at 12:42 am	and is filed under 9/11, Anti-War, Censorship-Propaganda, Education, Freedom, Geopolitics, Kevin Barrett, Law, News, People, Politics, Protest. You can follow any responses to this entry through the RSS 2.0 feed. To ensure true democracy the people must take away the right to make money from private banks, unless that is done the suggestions of senator Gravel will make very little if any difference. He is however one of the most interesting and intelligent guests you have!